Louisa crept out of her rope bed and down the loft's ladder. She didn't put on her boots until she stood in the moonlight outside the cabin door. Her thoughts tumbled like water in a mountain stream. She had to catch Lillith. She wasn't sure what she could say to her beautiful big sister but she couldn't stand what was going on. She knew Lillith was going to meet Preacher Jonathan at the barn in the hollow between their cabin and the big house on the hill. It ain't fittin'. I know the preacher is so handsome but he's married. Got a li'l ‘un and his wife is al'ays so sick. T'aint right what Lillith was doing sneaking out to sleep with a married man and him a preacher man at that. Louisa hurried between the pines and holly berry that bordered the rock-strewn path. Sprouts of that new plant, Kudzu, that Mr. Stuart had brought back from Philadelphia to control erosion were taking root in the sunny spots near the barn. In the distance, she thought she heard a gunshot. She stopped on the edge of the clearing to gather her thoughts. At that moment, Lillith burst from the ragged opening where once two double doors had stood. She passed within inches of Louisa but didn't see her. I'll just go on in and talk to Preacher Jonathan, she thought. I'll make him see he's doin' wrong. He's got a wife. The thought crept unbidden into her mind. If'n his wife died, there's someone else who loves him more'an Lillith ever could. I would make him a fine true wife. Lots of girls marry at thirteen around here. When her eyes adjusted to the gloom of the barn, she knew the preacher wouldn't have to worry about women problems any more. He lay on the straw in the first stall. There was a small hole in the center of his forehead and a pool of blood on the floor. Casey leaned on her shovel and admired her work. 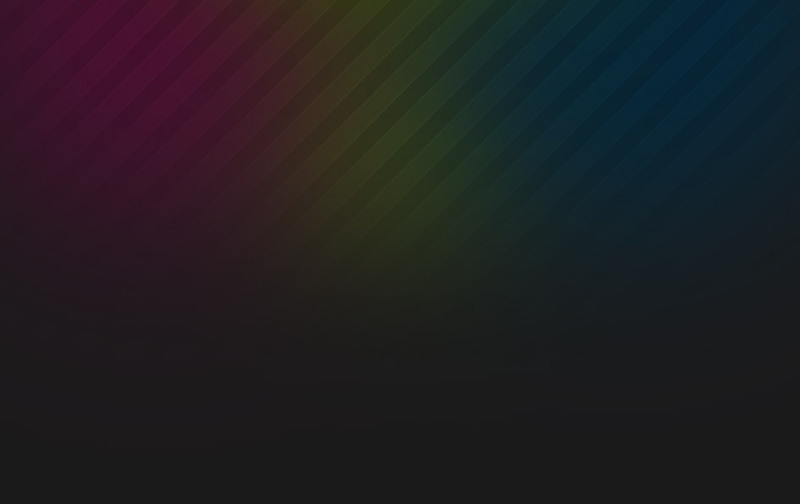 It had taken all day. Her auburn hair was flecked with hay from the mulch and her hands were smeared with manure. Her jeans were red at the knees and seat from the Georgia clay. To call her shirt disreputable would have been complementary. She was exhausted but totally self satisfied as she surveyed her new garden. The morning's backing breaking work was worth it. Her garden was planted and if the unseasonable weather continued she would be feasting on its bounty soon. The manure she had painstakingly hauled in tubs from the Track Gap Stables had darkened the earth to rich brown and the tomato, okra, squash and watermelon seedlings stood like proud toy soldiers. Movement up the hill at the old Stuart house caught her eye. Rumors around town were rampant. Someone had moved in but no one seemed to know more than that. The huge old farmhouse had been boarded up for several years. Casey had heard that it had once belonged to some distant family connection but she was a bit foggy on just how it fit into the family tree. Someone had purchased it and had been repairing it. Casey suppressed the pang of envy at the thought of someone else acquiring her dream house. As a tiny child, she had stood right here with Granny Weesie and listened to her tell about the people who lived in it now and who had lived in it when Granny was young. Casey couldn't recall a single name now except "Stuart". No point being a dog in the manger, she told herself. Her divorce had left her poor as the proverbial church mouse. She could never afford the Stuart place even in its present rundown condition. Suddenly, out of nowhere, two brown and tan explosions of energy erupted from the underbrush directly into her new garden plot. They rolled, romped and trampled until nothing was left standing. "Get! Shoo! Scram you beasts!" The dogs ignored her and continued the total devastation of her garden. Nothing she could do seemed to get their attention but when Smokey, her fluffy black cat moved into their line of vision, they were out of the garden like a shot. Smokey headed up the nearest pine tree. They settled in at the base and began howling and barking as Smokey calmly surveyed his pursuers from the first branch. At that moment, a man emerged from the path leading uphill to the Stuart Place. "Tater. Snuffy! Quit that racket. Get over here." He had spoken in a low voice but the dogs instantly stopped barking and ran to his side. He stooped indulgently rubbed their backs. "Sorry if they upset your kitty, Ma'am." He looked up at her with the most incredibly blue eyes she had ever seen. When he straightened up, he must have reached at least six feet. His Levi's fit him well and left no doubt of his masculinity even if his rugged face hadn't proclaimed that same fact. Any other time she might have been impressed with his craggy good looks but the memory of the hours of tilling, digging, removing the endless rocks, working in the smelly manure, all now wasted effort thanks to his unruly pack of hounds, enraged her. "Those beasts should be on chains! They're vicious!" she exploded. "Look what they did my garden." "They are not vicious. They're just puppies." He rose to his full height and looked down at her with a smile playing around his mouth. "Besides any fool knows you can't plant any of that stuff and expect it to grow. We're sure to have at least one more freeze up here." "Why you arrogant jackass! You're trespassing on my property and so are those hateful hounds from hell you set loose on my garden! And you dare call me a fool?" She fumbled for threats dire enough, more to repay his insult than his dogs' damages. Ray had always called her names, most of them worse than "fool". She had taken enough of that during her marriage. Ray had always tried to belittle her and make her feel like a stupid "little woman". Now that she was through with her ex-husband, she was never going to let another man put her down. Her emerald eyes flashed a warning fire. "Do you realize I could sue you for damages?" "Whoa, lady. We're not in Hotlanta. Up here in the mountains, neighbors settle their differences among themselves not in law courts. I have every intention of repaying you for the damages the pups did. I just wanted to point out it's too early to plant vegetables up here yet." She was furious and he didn't seem to consider the situation more than an amusing incident, probably something to recount to his hunting buddies next time he and his hounds from hell went out to shoot some poor frightened deer. That, on top of everything else, caused her control to break like a raging flood over a dam. "Well, thank you very much for the weather report. A dumb little gal like me couldn't know if some big, strong man didn't tell her." She let the sarcasm sink in for a moment then threw down the shovel and glared at him, "Listen, Bubba, If I want a weather report I turn on the TV. I don't need any advice from a dumb hillbilly. You probably plant by the signs, too." He chuckled, "Matter of fact, I do." Enough was enough. "Get off my land! Now! Take those- those beasts with you", she screamed. "Yes, ma'am. Anything to oblige a ‘lady'" He sauntered calmly back up the hill. Casey stomped her foot and threw the shovel she still clutched in her hand to the ground. Stomping in Georgia clay was not too satisfactory and the shovel just fell across her other foot causing her to howl in pain. Totally frustrated, she marched inside. She filled the old enamel pot with its blue cornflower design and sat it on the eye of her ancient stove. The kettle had been Granny Weesie's and a cup of tea made in it never failed to soothe her ruffled spirits. Some of her earliest memories were of sitting in this very kitchen with her Granny Weesie and listening to her tales of hidden Confederate gold. Granny had always ended the tales with "One day I'll tell you where ‘tis." Granny had really been her great-grandmother. She died at a hundred and four. Of course, she had never told her tiny descendant where to hunt for this mysterious treasure. Casey remembered her mother scolding Granny for "filling the child's head with such foolishness." Granny had always shook her head and muttered, "Taint foolishness. Tis an awful truth ‘n I've gotta rid myself of it one day. Little Casey, She'ns my onlyst hope." 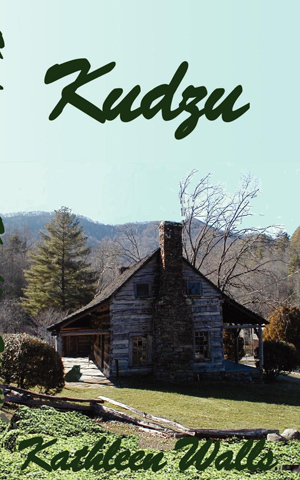 As I read Kudzu, I realized that I could not write about just one character in the book. Even though I have to admit (as an ex-Georgia Cop) that I could certainly associate with the Georgia Sheriff you have written about. Your book was so authentic that, as I read it, I actually felt like I was living in the Blue Ridge Mountains of North Georgia. This book is definitely a page-turner. The authenticity of the characters gives the reader the feeling that you have actually lived in the area you write about. Kudzu is excellent reading for everyone who has lived in the South. I would say this is going to be another must read!-- Bobby Ruble, Award winning author. Casey discovers her grandmother's diary. As Casey reads the diary, she finds herself transported back in time to the days of Bluejay, Georgia in the 1800's. What happens next defies explanation. Casey finds herself actually living the life of her Grandmother Weesie. Kathleen Walls has combined mystery, intrigue, time travel and romance into one irresistible package in Kudzu. You won't be able to put it down.--Kristie Leigh Maguire, author of "Desert Heat", "Emails from the Edge" and co-author of "No Lady and Her Tramp"